Livonia Family & Cosmetic Dentistry | About Us | Daniel Lipnik, D.D.S. Dr. Lipnik established his family and cosmetic dental practice in Livonia after graduating from the University of Michigan School of Dentistry in 1986. From the beginning his kindness and dedication has helped him develop close relationships with his family of patients. Dr. Lipnik's compassion, energy and technical expertise assures every patient, young and old, a positive experience. Dr. Lipnik completed his Bachelor of Science at the University of Michigan before attending the University of Michigan Dental School. He graduated as a Doctor of Dental Surgery in 1986. As a dedicated dentist, Dr. Lipnik is passionate about continuing education. Dr. Lipnik has completed the program in Esthetic Dentistry at the State University of New York, Buffalo, the Michigan Institute for Implant Dentistry in Birmingham, Michigan and both the Spear and Dawson Institute’s Restorative Continuing Education Programs, to name a few. More recently, Dr. Lipnik completed both the twelve-week training and the Leadership Program at Dale Carnegie. In 2010 Dr. Lipnik became certified to practice Invisalign. On the local level, Dr. Lipnik is a longtime ambassador with the Livonia Chamber of Commerce and a member of the Local Business Network (LBN). 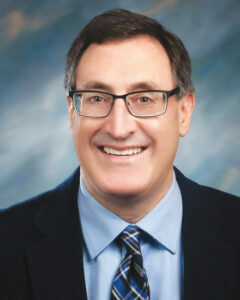 Dr. Lipnik has been the attending dentist at St. Joseph Care Center for over twenty years. Our administrative team does a wonderful job of handling the business aspects of our office. You will find each member of our team to be friendly and caring towards you. Tina and Karen will assist you with scheduling, insurance, and payment arrangements while Paula handles the office bookkeeping. We are proud of their longstanding loyalty to our patients and we know they will make you feel like family! Jen is our enthusiastic and experienced dental assistant. Jen has been with us for 15 years and she will provide for your comfort during your dental treatment. Jen provides excellent chairside assistance and is also responsible for sterilization, x-rays and impressions. You can be confident that you will receive relaxed and quality dental care with Jen at your side! Sue and Jenny are our gentle and efficient dental hygienists. Both are graduates of the University of Michigan and have extensive experience in caring for your dental health. At every visit you will find that both Sue and Jenny provide you with comfortable and relaxing preventive care. They are also well prepared to discuss your dental needs and future care with you. We know Sue and Jenny will keep your smile shining bright! We create confident & happy smiles!